City agencies and neighborhood partners tonight will launch the second 3rd Thursdays series of music and community events in the Civic Center Commons. 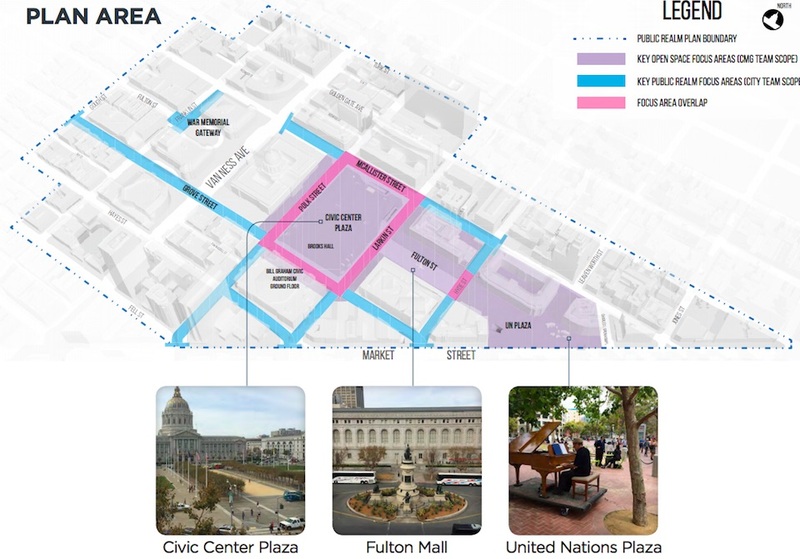 The Civic Center Commons is made up of three public spaces: UN Plaza, the area between the Asian Art Museum and the Main Library, and Civic Center Plaza. 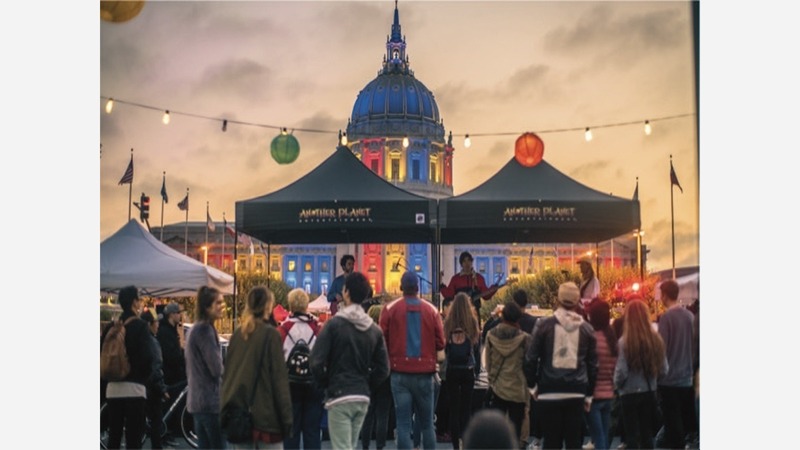 After a successful series of Thursday night events with music curated by Another Planet Entertainment, and food trucks and beer gardens from Off the Grid, the second year of block parties will begin tonight and run through the third Thursday in October. Tonight's event includes performances from Sun Hop Fat and El Duo, and runs from 5:00 pm through 9:00 pm at Civic Center Plaza. The Commons will also host a series of first Sunday events starting on July 1st on Fulton Street from 11:00 am through 3:00 pm. Five Sunday events are planned, through November 4th. The block parties are an effort to attract community members to a space that the city is focusing on activating. Last year a grant was awarded to a duo of knitters that are decorating trees with animals and a new outdoor art gallery was constructed outside the Asian Art Museum. The Helen Diller Playgrounds went through a year-long, $10 million renovation and reopened in February 2018, and later this summer a new cafe is expected to open with service - and ice cream - from Bi-Rite. The city has also partnered with Hunters Point Family and the Downtown Streets Team, both workforce development initiatives. Hunters Point Family staff serve as docents for the play structures, art installations, and mobile Pit Stop toilets in the area, while the Downtown Streets Team crew provides cleanup work in exchange for case management services and stipends. 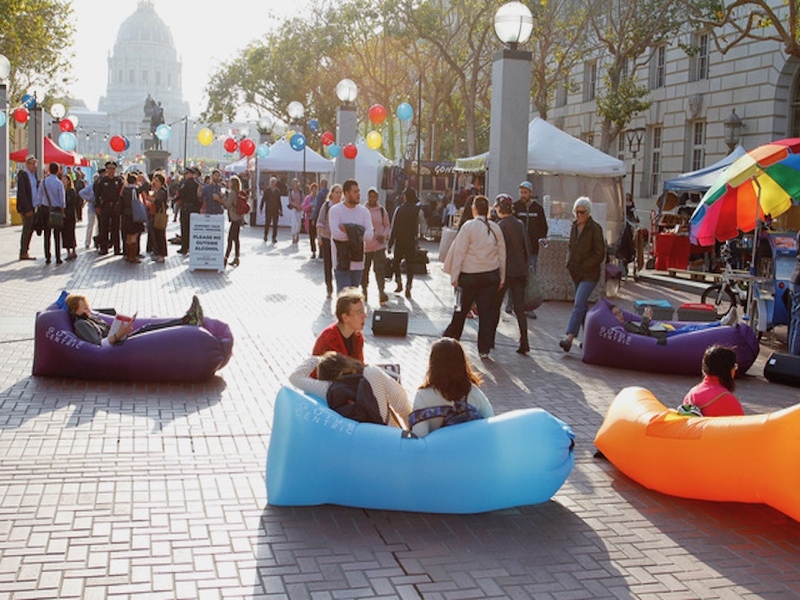 The Civic Center Commons initiative represents the short-term effort to improve the public space in the heart of the city while more major changes are being planned through the Civic Center Public Realm Plan. The plan includes potential changes to the area's plazas, parks, streets, and entrances and will also reopen at least part of the currently shuttered Brooks Hall underground convention space. Public input on three potential design frameworks is being sought via three online surveys through the end of June.